If you're celebrating 100 of something—the 100th day of school, your 100th customer, and so on—one entertaining way to acknowledge the event is to dress up as a 100 year old woman. This outfit also works for Halloween or other general costume parties. Best of all, most of the supplies you need can be found at home or from a thrift store. Find a long dress or skirt. 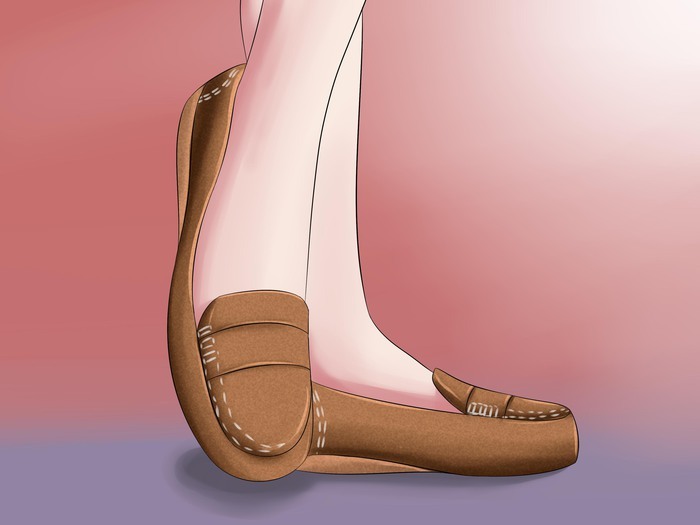 The bottom hem of the skirt should fall just below the knee, at the calves, or at the ankle. Roses, chintz, and other small floral prints are some of your best options. Large floral print and many geometric prints can work, too, but keep in mind that the pattern should look old fashioned. Stay away from bold, bright colors. Opt for neutrals, dull hues, or pastel shades. 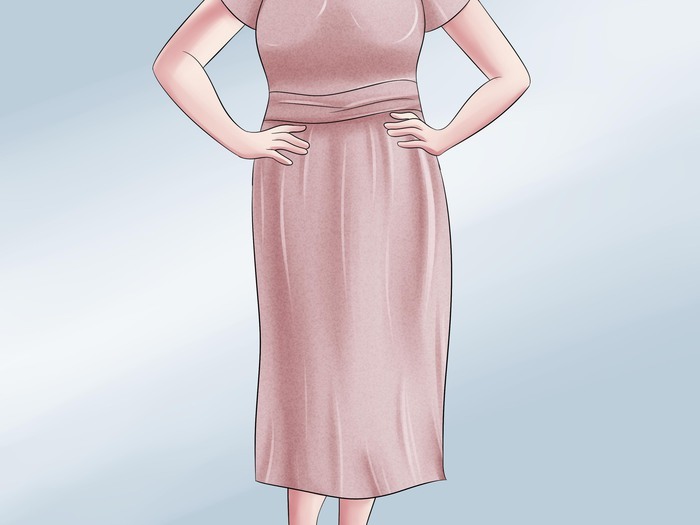 The shape of the dress or skirt is also important. Straight, breezy "muumuu" styles are ideal, but boxy cuts will also work. Avoid form fitting clothing. Pick out a matching blouse. If you opted for a skirt instead of a full dress, you'll need a blouse to complete the basic outfit. Try to find a long-sleeve button-down blouse in white or a light pastel shade. 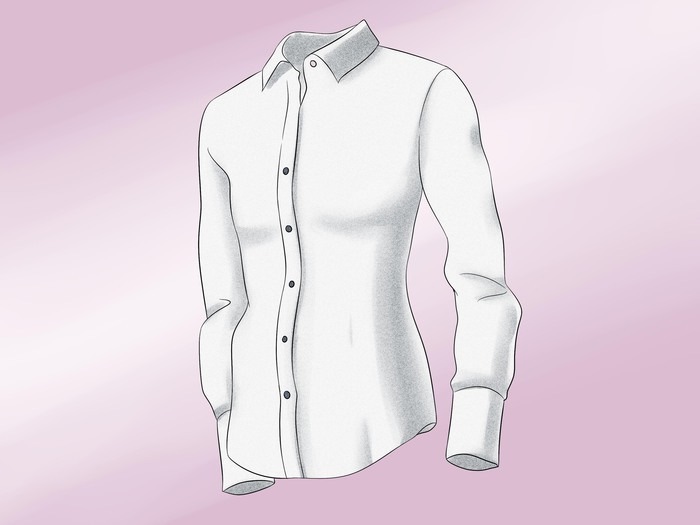 As with dresses and skirts, the cut of the blouse should be boxy and straight rather than being fitted. Throw on a shawl or sweater. 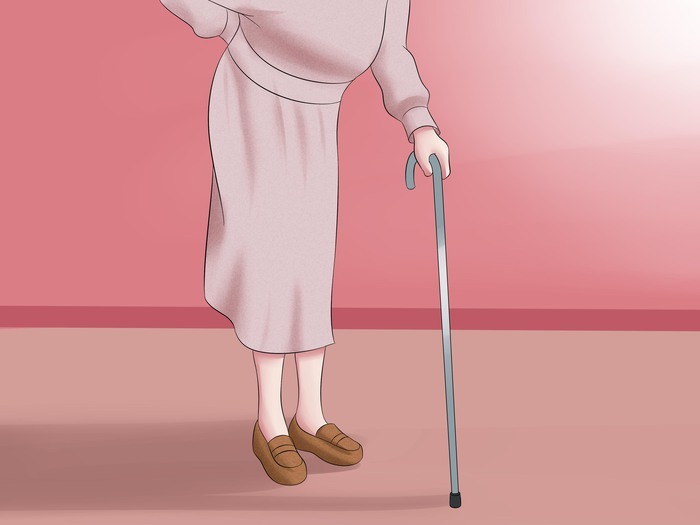 A 100 year old woman is more sensitive to the cold than her younger counterparts would be. Drape a shawl over your shoulders or slip on a plain button-down cardigan sweater. 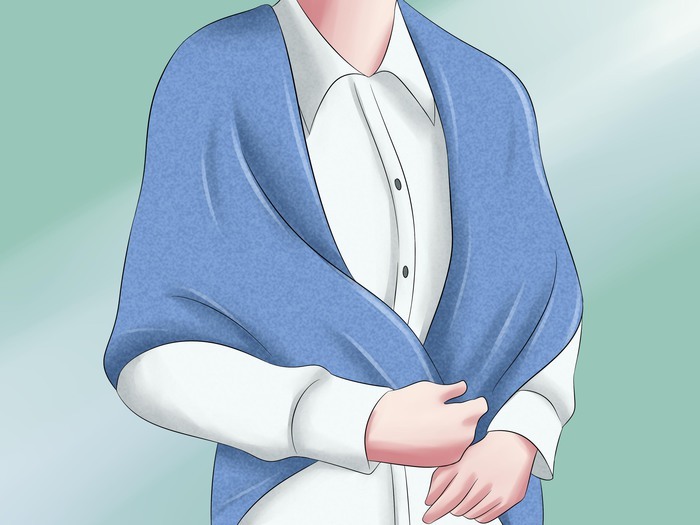 If you opt for a shawl, look for one made of knitted wool or soft cotton. Lace designs, floral prints, and plain colors will all work. Drape the shawl over your shoulders and tie or pin it in place at the front of your body. If you go with the sweater option, wear the sweater instead of draping it over your shoulders. Choose a simple, straight-cut silhouette and stick with drab, solid colors. Choose a simple sneaker or loafer. Think about the type of shoe a 100 year old foot would feel comfortable in. Plain white sneakers are a good choice, but supportive loafers could work, too. The sneakers should be as plain and simple as possible. Canvas sneakers are better than athletic walking shoes. Similarly, any loafers you wear should be simple. Dark brown or black options are best. Wear stockings. Skip the socks. Instead, slip on a pair of plain knee-high or waist-high nylon stockings. The stockings should be plain. Avoid textured leggings or stockings with prints on them. Color choice makes a difference here, as well. Your best options are flesh, ivory, and white. Avoid black nylons and ones that come in unconventional colors (blue, red, etc.). Wear vintage style costume jewelry. Opt for a large brooch, necklace, or pair of earrings. Choose a piece with classic colors and metals and avoid trendy statement jewelery. Large pearls and large solid-color beads work well. 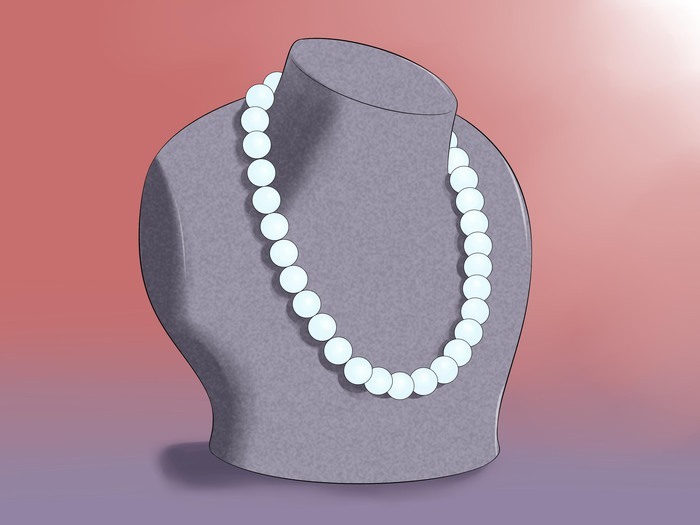 For instance, a short strand of pearls or beads is a great necklace choice, and large single pearl earrings make a good option for your ears. Classic metals are other good options. Gold often has a more antiqued look than silver, but a dull silver piece can work, as well. Avoid "trendy" metals like gunmetal silver or rose gold. Consider wearing a hat or kerchief. These accessories are not strictly necessary, but certain hat styles are more commonly worn by 100 year olds and other elderly woman. 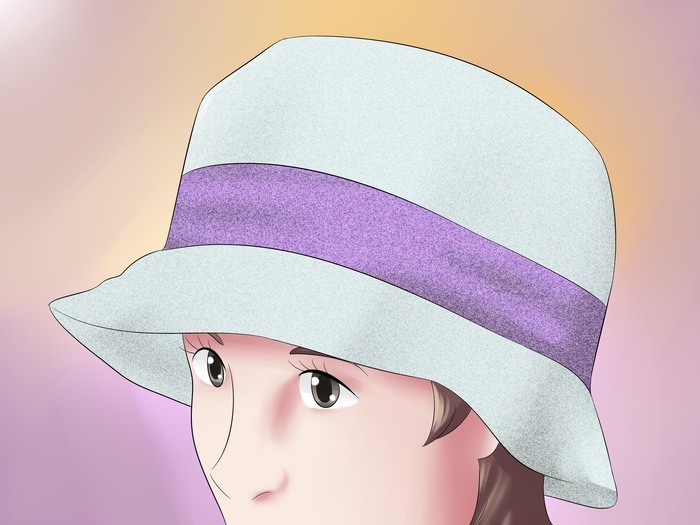 You could also tie a simple kerchief over your hair if you cannot find the right sort of hat. When picking out a hat, look for styles that were common to earlier eras. For a 100 year old woman, consider styles that would have been popular in the 1920s, 1930s, and 1940s, when she would have been young and in the prime of her life. Kerchiefs or headscarves tend to have an “old country” appearance. Tie the headscarf so that it covers the top of your head and knots beneath your chin or at the back of your head. Avoid bandana styles. Instead, look for plain off-white kerchiefs or scarves with traditional floral prints. Slip on a pair of glasses. Since eyesight often deteriorates with age, many 100 year old women will sport a pair of glasses. Look for simple round or rectangular frames. Cat-eyed frames could work, as well. If you do not have glasses of your own, consider buying a pair of reading glasses from a cheap dollar store or all-purpose store. These lenses are usually nothing more than magnifiers, but if they bother your eyes, you can simply pop the lenses out and wear the frames. 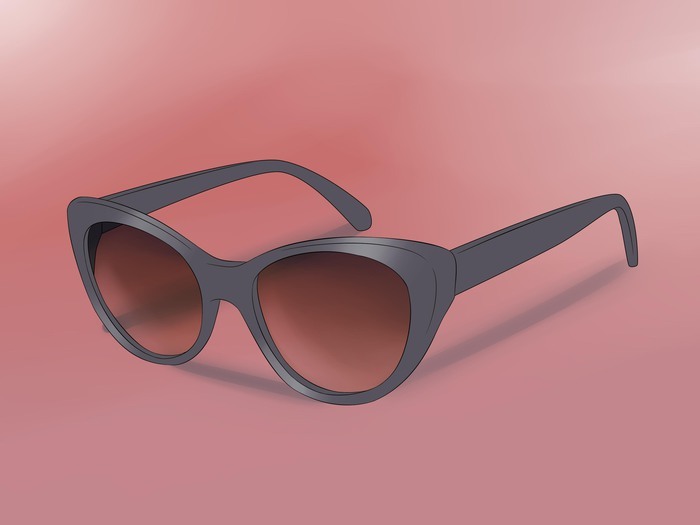 You could also look for an old pair of glasses from a thrift store or other secondhand shop. Sling a handbag onto your arm. A small pocketbook sized handbag is better than a large one. 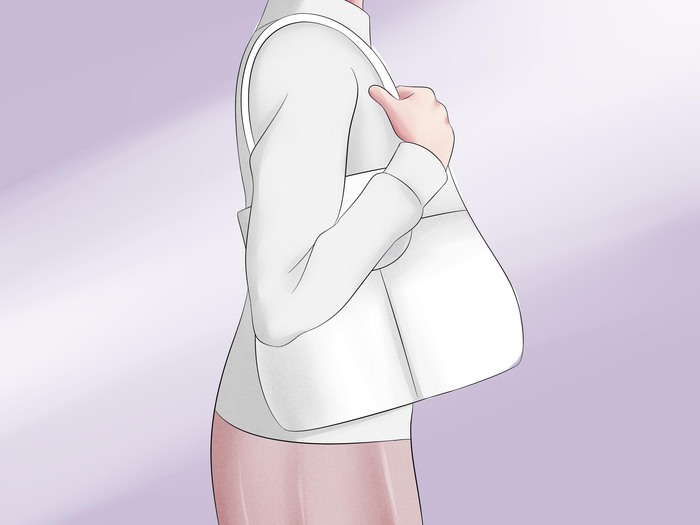 Purses with handles are also a better option than those with a long shoulder strap. Tuck the handle of the purse into the crook of your elbow and carry it around that way. As with most aspects of this costume, simpler is better. Solid colors are preferable to prints and patterns. Carry a cane or push a walker. Walking on one's own becomes more difficult in old age. Push around a walker if you can find one. If not, look for a simple walking cane and hobble around with that. Put long hair in a bun. 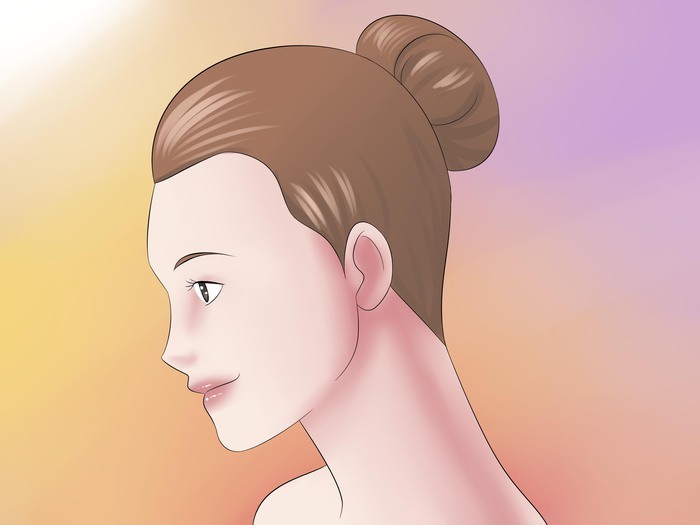 If your hair is long enough, tie it back in a simple bun at the base of your neck or the back of your head. If you have difficulty with a traditional bun, you can make a loose one with nothing but an elastic ponytail holder. Tie your hair back with the ponytail holder. On the final wrap-around, do not pull your ponytail all the way through; instead, pull the hair through the elastic band just enough to create a bump or bun at the top. To keep the ends secure, wrap a second elastic band around the first. Curl shorter hair. If your hair is too short to put in a bun, consider adding tight curls using hair rollers. If you don't have rollers, consider using bobby pins to create tight pin curls, instead. 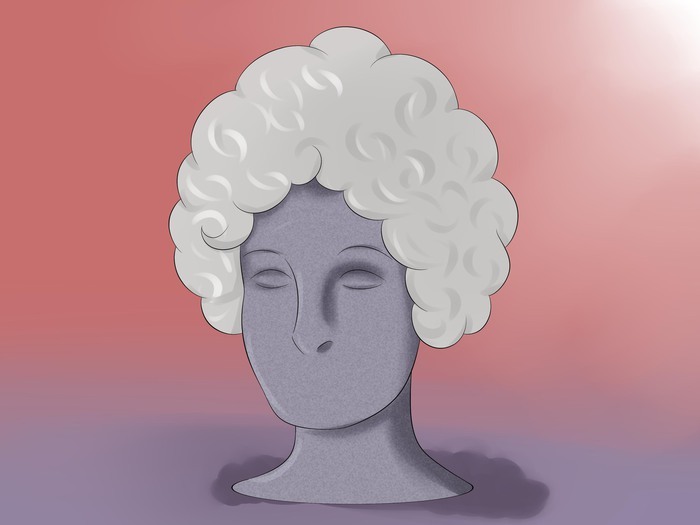 The main idea is simply to create tight curls that frame the face or otherwise stop above the shoulder. Loose, flowing curls would not work as well. Alternatively, you could leave the curlers in your hair. This will create a much more casual, “at home” look. Make sure that the curlers are secure, though, so that they won't accidentally fall out as the day passes. Sprinkle on some baby powder or flour. A simple trick for making hair look grayer is to dust it with a little white powder, like baby powder or flour. Less is more, though. You want the hair color to look faded, but you don't want the powder to be especially noticeable. Evenly sprinkle the powder over your head. It is best to sift it out, rather than applying it with your hands. Once it's on there, shake your hair to break up any clumps and help spread the powder throughout. You may even wish to run a comb through your hair to help spread the powder. Spray a little hairspray over the hair after applying the powder to help prevent the powder from falling out. 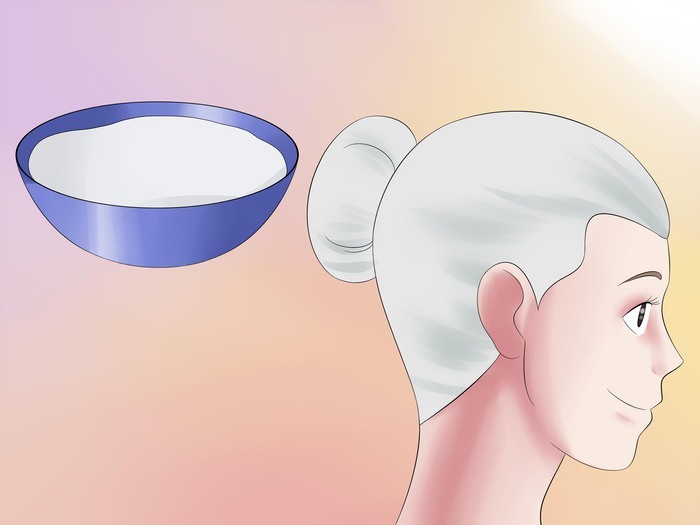 When done, both baby powder and flour should wash out of your hair with enough water and shampoo. Baby powder might be easier to strip from your locks than flour would be. Consider investing in a wig. Another option is to simply buy a cheap gray or white costume wig. You can usually find an old woman's wig at any store that sells costume supplies. Use cool-tone foundation. Lightly apply a cool-tone foundation to your face to give it an aged, yellowed look. Use a pale cool-tone foundation, even if your skin is naturally warm-toned. Regular foundation will work, but it might be easier for you to find a foundation with a strong yellow undertone if you use costume makeup. Apply the foundation evenly over the exposed skin of your face and neck. Use a sponge or brush to do this. When finished, the color of your skin should be paler than normal, but it should still look like it could be natural human skin. Trace wrinkles in brown eyeliner pencil. Look for any light wrinkles that form on your natural face when you smile or frown. Trace these wrinkles in brown eyeliner, then smudge the eyeliner to blend it into your skin. Smile, frown, or other scrunch your face up to produce a natural set of creases. Even young skin creases when the face contorts in different ways. 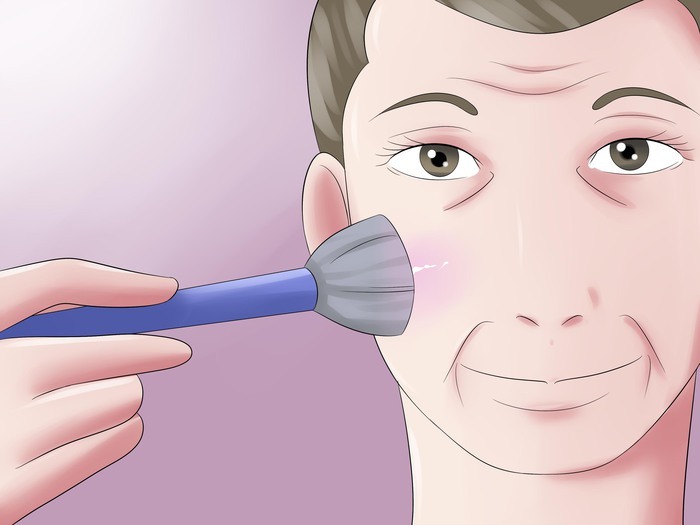 As a person ages, these creases are what develop into wrinkles. Lightly trace over the wrinkles around your eyes and mouth using brown eyeliner pencil. Avoid gel liners. Use an eyeliner pencil close to your natural skin tone and lightly highlight around the edges of each brown mark. Blend the two liner colors together using a makeup sponge. 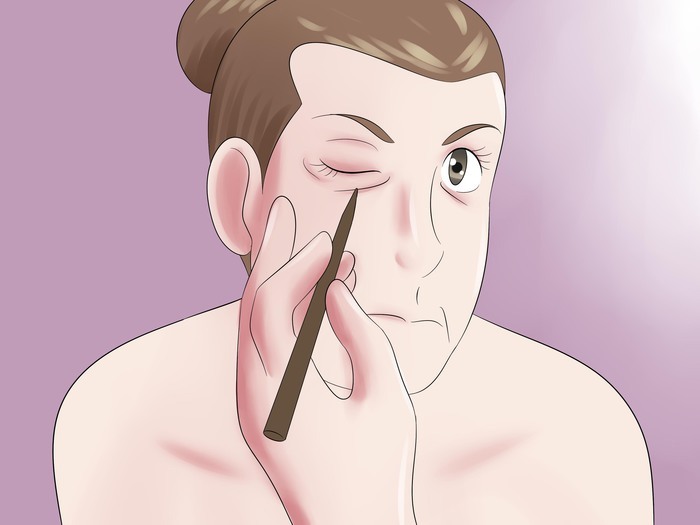 Doing so will make your creases look more like wrinkles without making the eyeliner marks too obvious. Add a touch of rouge. 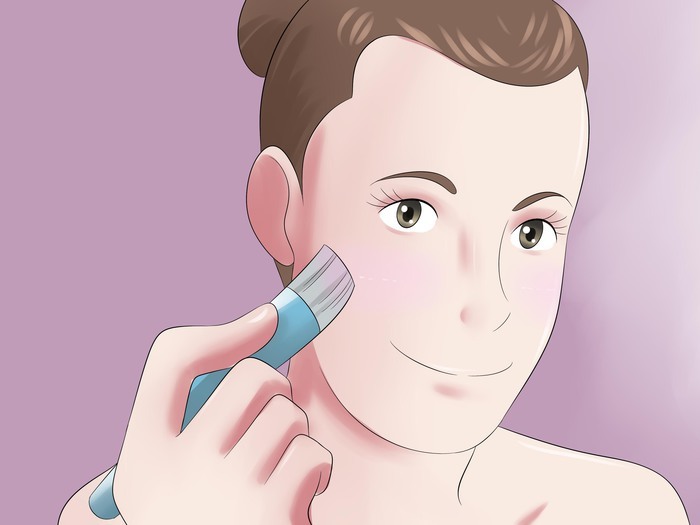 Dust the apples of your cheeks with a moderate amount of pink blush or rouge. The idea is to make it somewhat obvious that you're wearing make-up instead of making it look as natural as possible. Consider using a cream rouge instead of a powdered one. Either option will work, but creams tend to have a more pronounced look. Apply a little lipstick. Choose a matte lipstick in a classic shade. Avoid glittery lipsticks or shiny lip glosses. Don't be afraid to choose an option that is a little bolder than your normal preferences. A deep pink or solid red could work well. Avoid hot pinks and fire engine reds, though, since these might be a little too flashy. 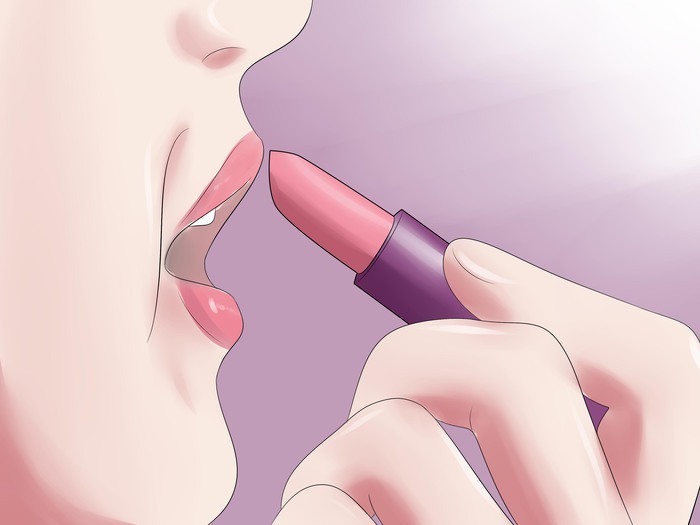 Lips tend to thin out with age, too, so you could consider applying a beige lip liner to the outer perimeter of your top and bottom lip before putting on your lipstick to create the appearance of thinner lips.